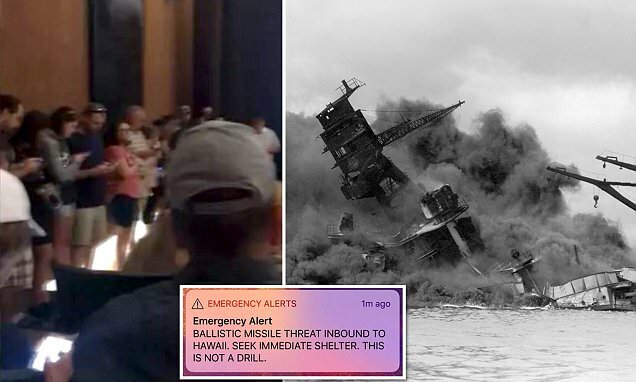 Visitors at the Pearl Harbor memorial were startled Saturday as they watched a documentary video of the 1941 attack when their phones went off during a statewide false alarm. Early that morning, the accidental emergency missile alert was issued that read: 'Ballistic missile threat inbound to Hawaii. Seek immediate shelter. This is not a drill.' Panic broke out in the auditorium while visitors were gathered to reflect on the Japanese military strike from 76 years ago - just weeks after the December 7 anniversary of the attack.